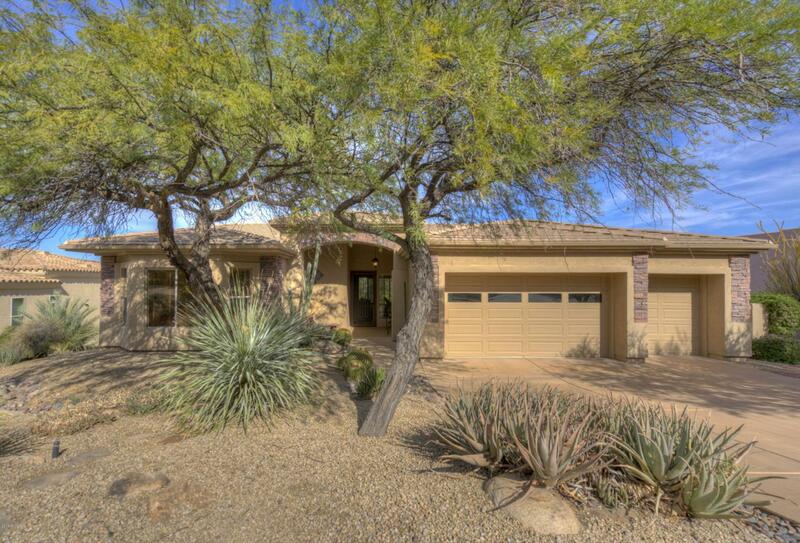 Updated Former Model Beautifully Maintained in the desirable Gated Community of Ridgeview Estates. Location, Location! Just a short Walk to the famous Carefree Sundial area offering shopping, dining & entertainment! Open Floor Plan with no steps inside offers slab granite counters, stainless appliances, crown & 4 inch wood moldings t/o, solid core wood doors w/updated hardware, remote-controlled Hunter Douglas blinds, upgraded fans, light fixtures & sec door, dimmer switches, new carpeting & cherry wood flooring in Bdrms. 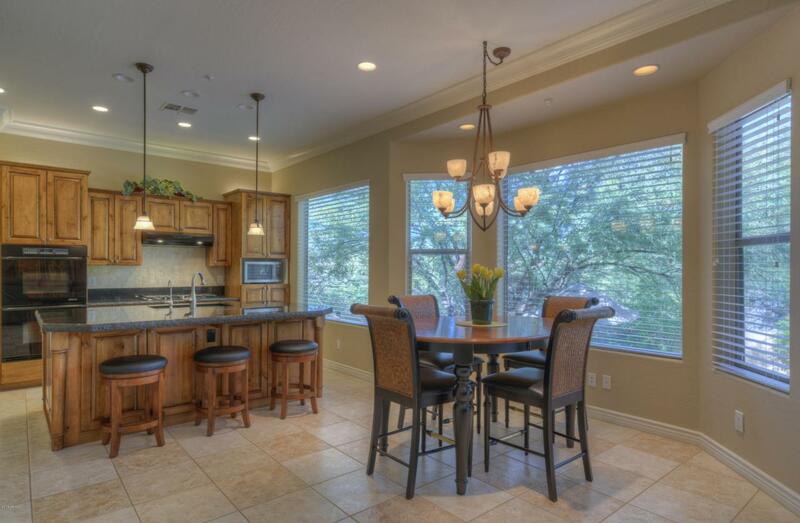 Beautifully remodeled Master Shower, jetted tub, Toto toilets, 2015 ACs, the list goes on & on. AC'd 3-car garage. 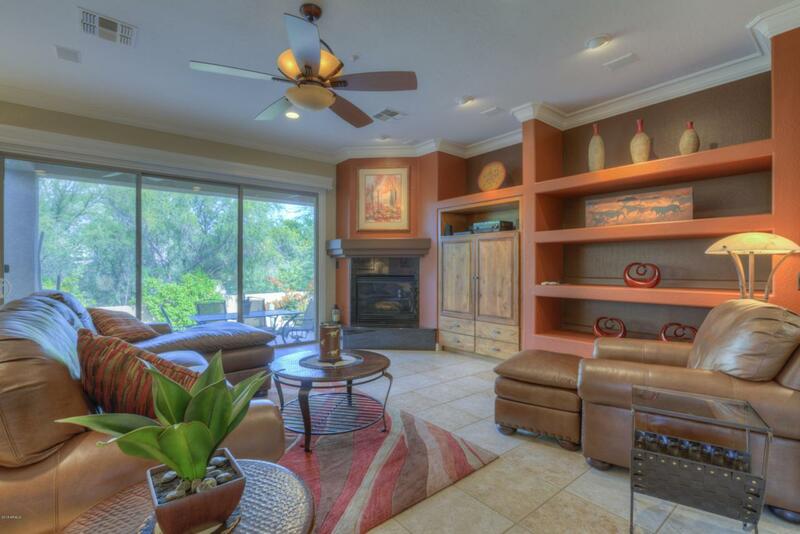 Private backyard oasis features tranquil heated pool, mature plantings & several seating areas. 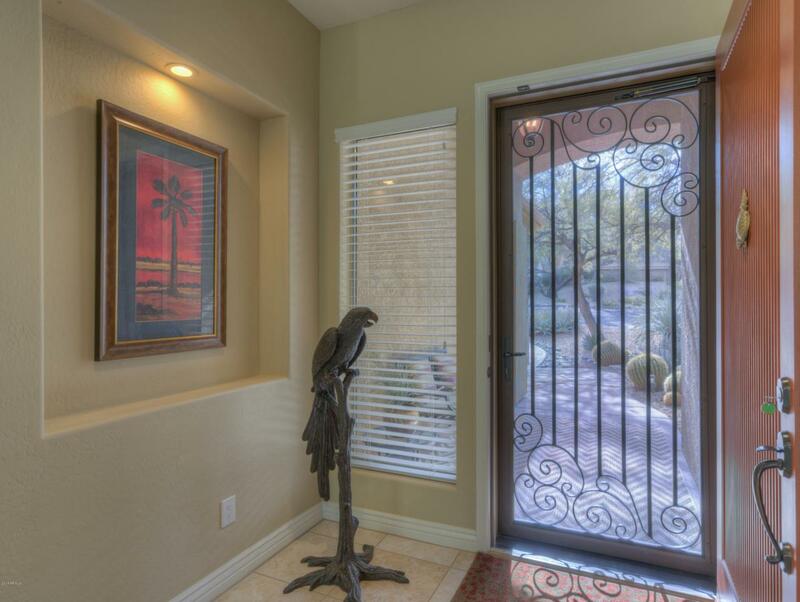 Hard to find gated home in charming Carefree!